That mess?? That’s something?? Expect me to believe that? Okay, I give up. What is it?? Threads! That’s what it is. 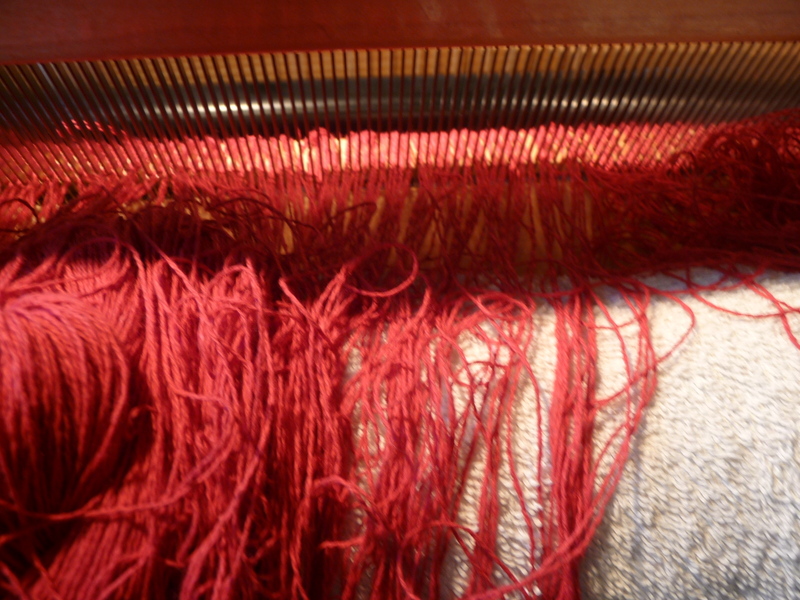 Lots of tangly, messy red threads. Well, yes, that’s true. 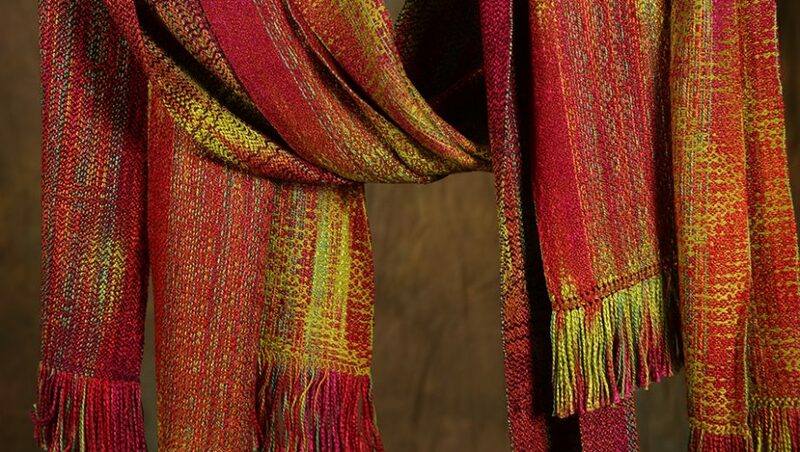 It’s also the first not-so-faint beginnings of a series of seven handsome large kitchen towels — each one woven with a different weft color, each in a different pattern. But the old saying about not being able to make an omelet without busting up some eggs holds true here (sort of). 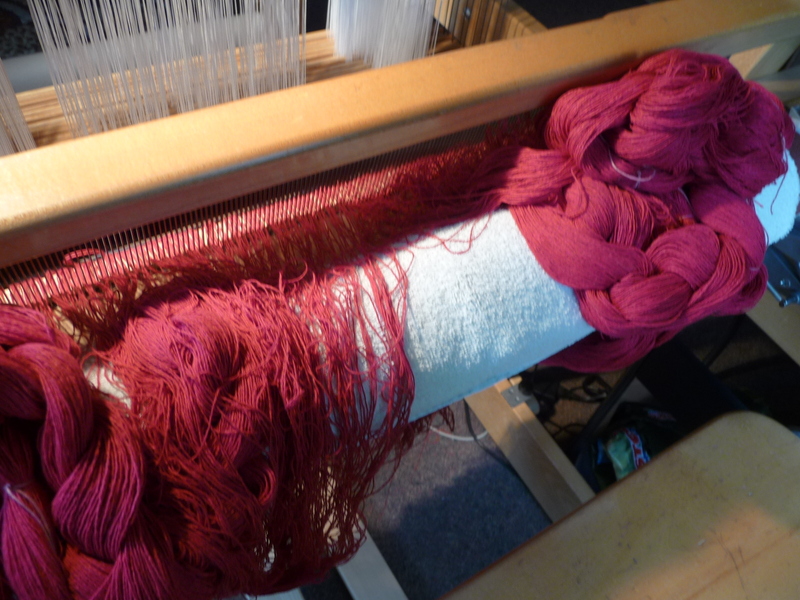 You can’t have a nice neat warp, everything lined up and under just the right tension, without a bit of a mess to begin with. Sometimes even a tangle or three. 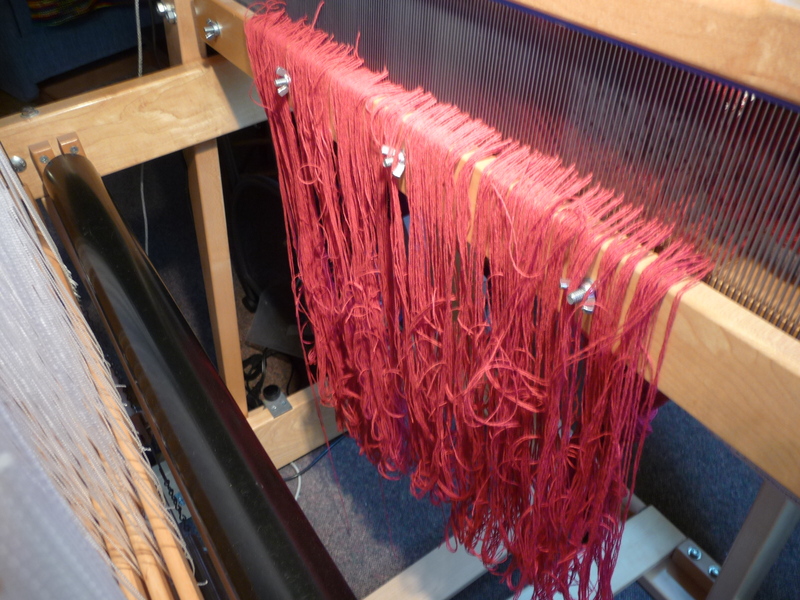 This is the first part of the process of dressing the loom (weavers’ terminology), the part that generally only the weaver sees. We hide it from the public because . . . . well, I think you can see why. Speaking of hiding, this is my protection racket. With two young active busy Siamese cats in the household, hiding the fun stuff (their attitude) is essential in between work sessions. It’s effective, and a great use for old beach towels. 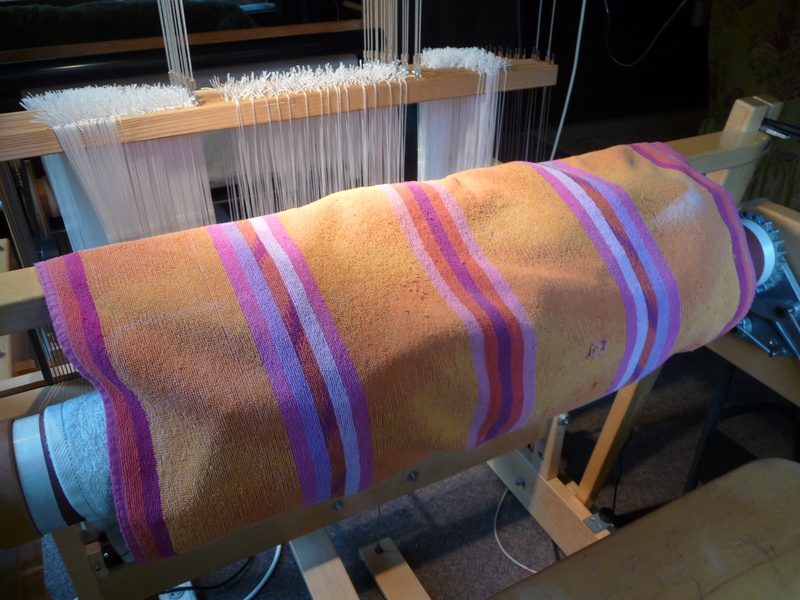 and now after the towels are off the loom that mess doesn’t seem so bad now – does it?